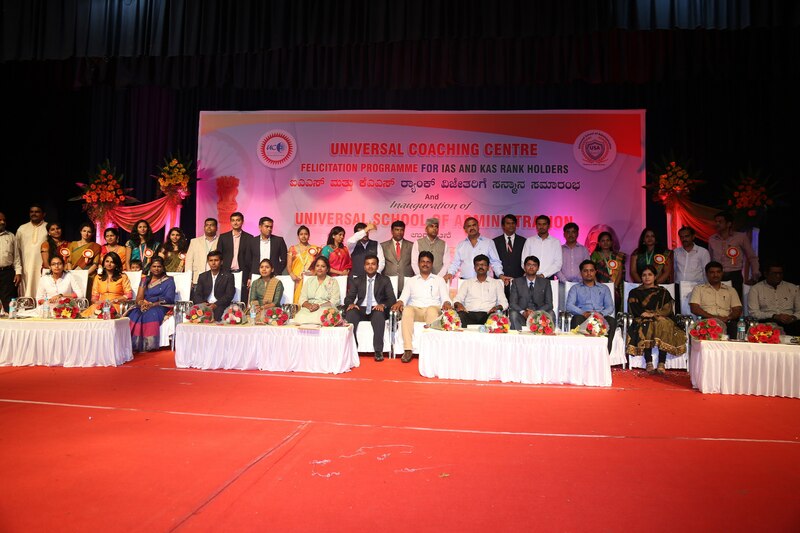 Universal Coaching Centre Universal Coaching centre is one of the leading coaching centers in Bangalore providing holistic and exam oriented coaching for all competitive examinations being held at state and central levels. The head office is in Vijayanagar we are running institution from past 16 years and having excellent track record in various competitive examination like IAS, KAS, PSI etc. The asset of the institution is its Professional and experienced faculty and of course its excellent student infrastructure with well furnished class rooms and library. Its no surprise that our former students today are occupying strategic positions in corridor of power both in state as well as central services. A feat that we are proud off !!!! Our institute bagged first rank in KAS exams for 4 time, 47 IAS officers, 42 IPS officers, 9 IFS officers, 107 IRS and Others, 203 KAS officers, Total No. of candidates in service with group A, B & C is 2171. To expand our students oriented mission and to reach out a wider audience, we have moved to a place near you, to cater the popular demand. We appeal to make use of our expertise and help us in shaping your career and dreams. No. 2922/20, Chord Road Near Attiguppe Bus Stop R.P.C. Layout, Vijayanagar Next to Syndicate Bank – 560 040. 0 77.537894 Universal Coaching Centre No. 2922/20, Chord Road Near Attiguppe Bus Stop R.P.C. Layout, Vijayanagar Next to Syndicate Bank – 560 040.